Adopted safe and eco-friendly TPU material, AONIJIE SD16 outdoor water bag is completely odorless and tasteless, PVC-free and BPA free. 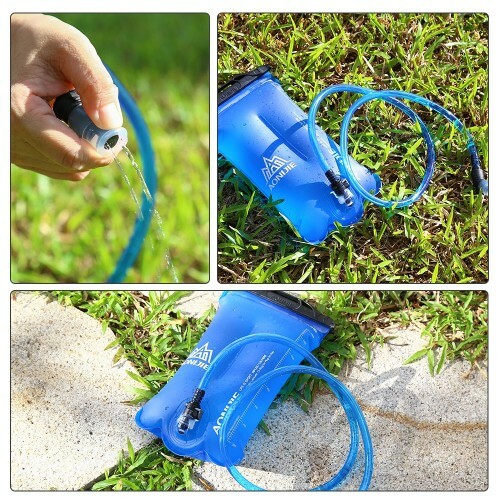 Hand-held sealing clamp allows you to easily fit it into pocket, backpack, and briefcase, etc. 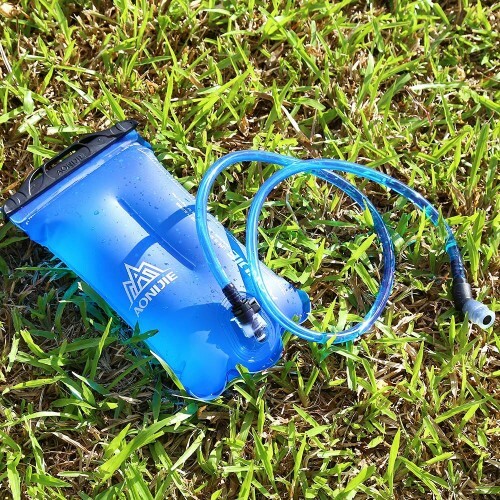 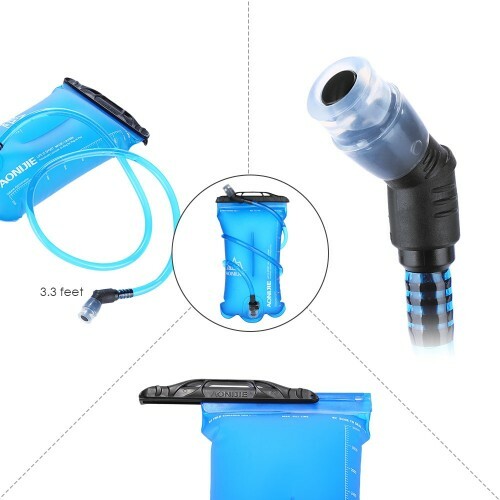 It is perfect for outdoor activities, such as running, camping, hiking, and bicycling, etc. 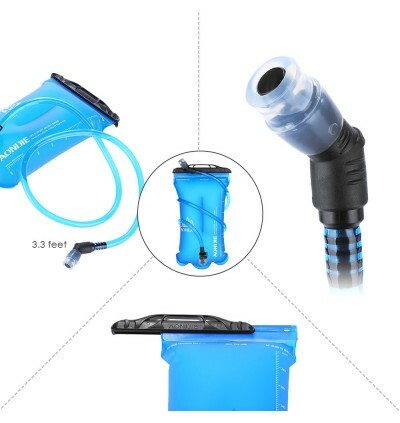 Both the top opening and the bottom are featured with the leak-proof design, plus, the water pipe joint is non-removable for better leak-proof. 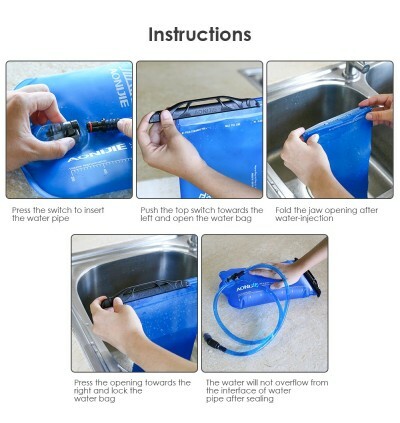 Thus, you do not have to worry about the water will leak. You can slide off the top of the bag to add water or to pull water out easily, also easier to clean. 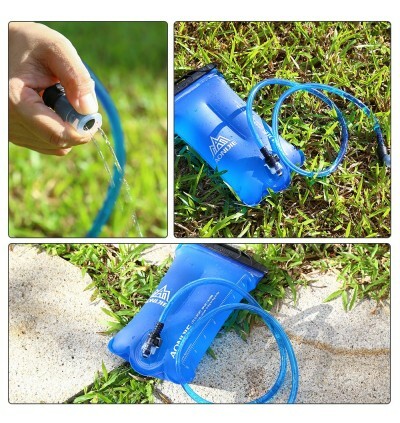 Plus, the strong clamp keeps your drink tube in place well. The thick hydration bladder is with pressure, wear-resistant, and impact-resistant. 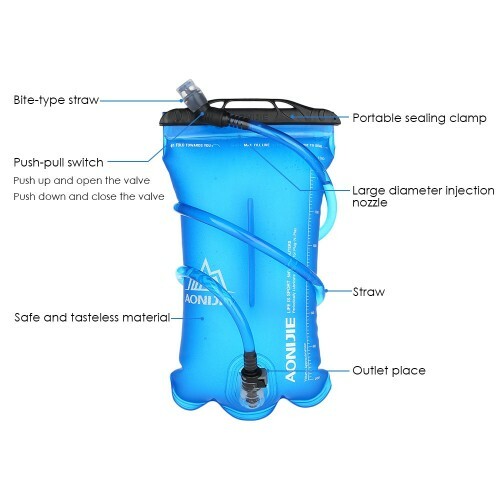 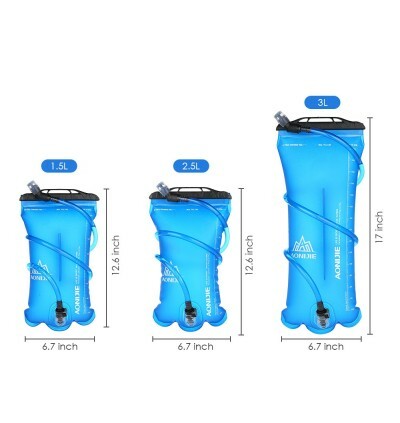 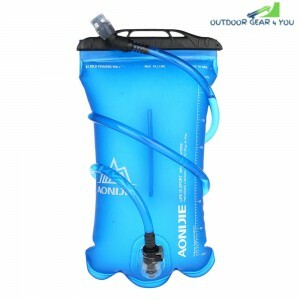 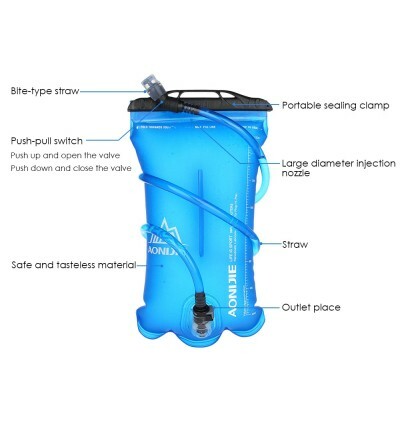 AONIJIE SD16 outdoor water bag is sturdy and reusable, perfect for all kinds of outdoor sports.